With the Super Bowl this weekend (Go Pats!) who knew these top NFL players were so good on the links. This is really interesting and makes you wonder when do these players have the time with all the intense training and watching film to be such low handicap golfers? 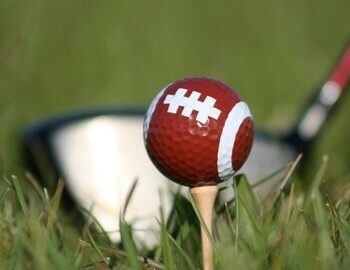 I am sure at some point these NFL players spent a lot of time on the driving range hitting thousands of golf balls, since that is where you improve your game the most. Check out the Player Development Program at Reston National which includes unlimited range balls, and the ability to play 2.5 hours before sunset for just $7 if you walk, or $12 if you ride. These benefits and along with the price make this the DC area's most popular player development program!